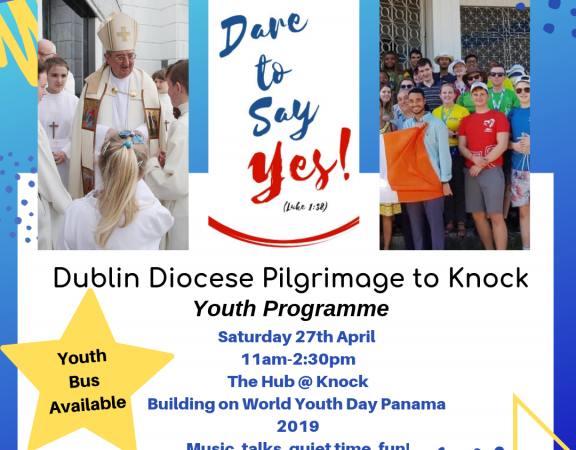 On Friday morning 18th January 2019 the first of forty pilgrims from Ireland will leave for WYD Panama. The group is co-ordinated by Gerard Gallagher from the Archdiocese of Dublin. 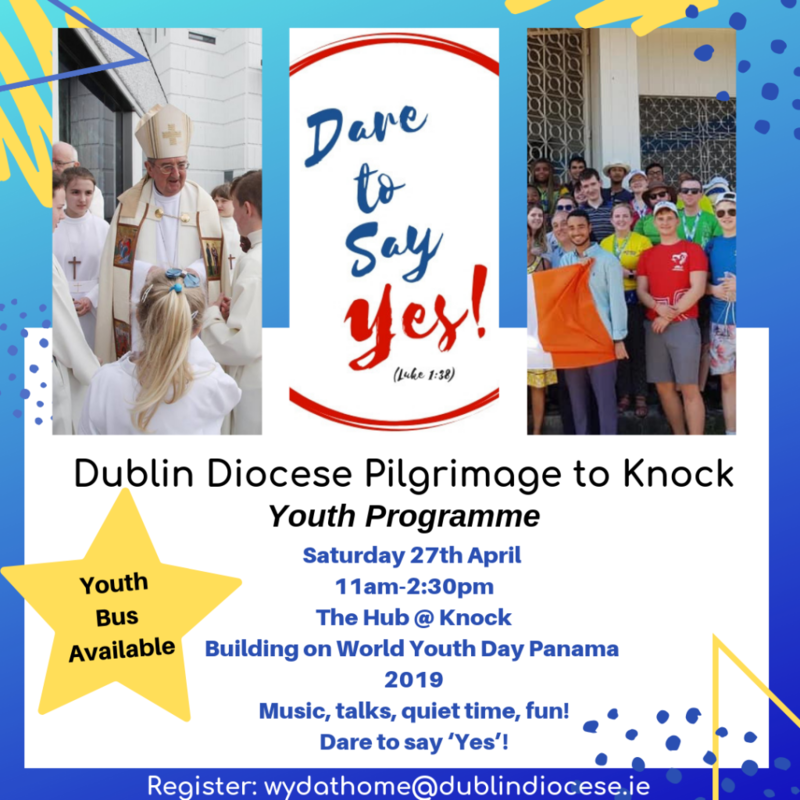 30 pilgrims will represent the Archdiocese of Dublin and some of them even though are travelling from Dublin, attend college in Dublin and are traveling with Chaplain Fr. Seamus Mc Entee. 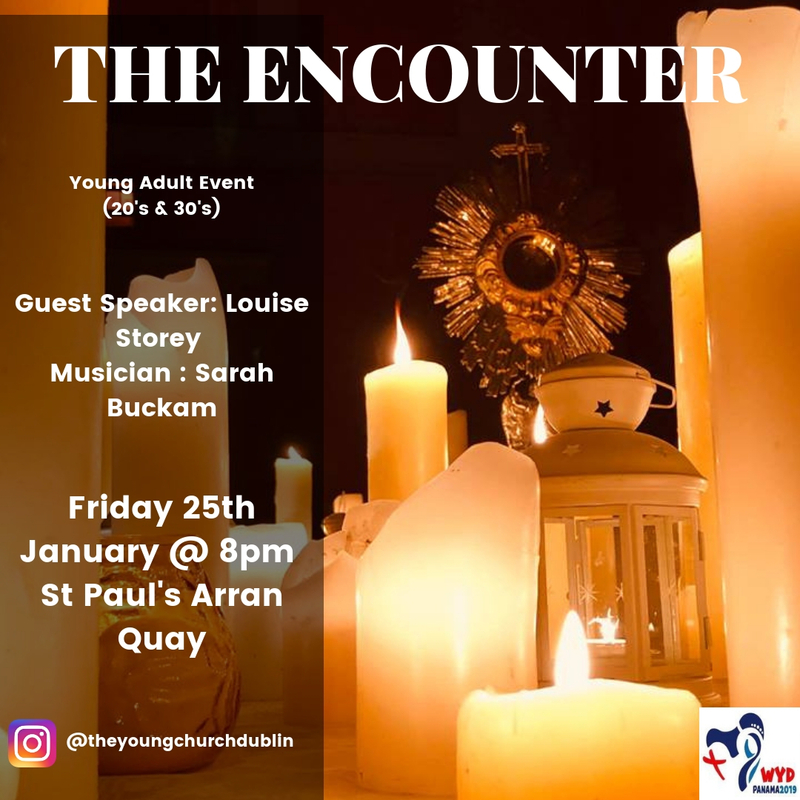 Information about this pilgrimage can be found on www.evangelisation.ie – Follow the group on Facebook and other online platforms. Some young people will contribute a blog outlining some of their experiences. They will be available on the diocesan web accounts also. Regular Blogs will appear here so keep checking in! 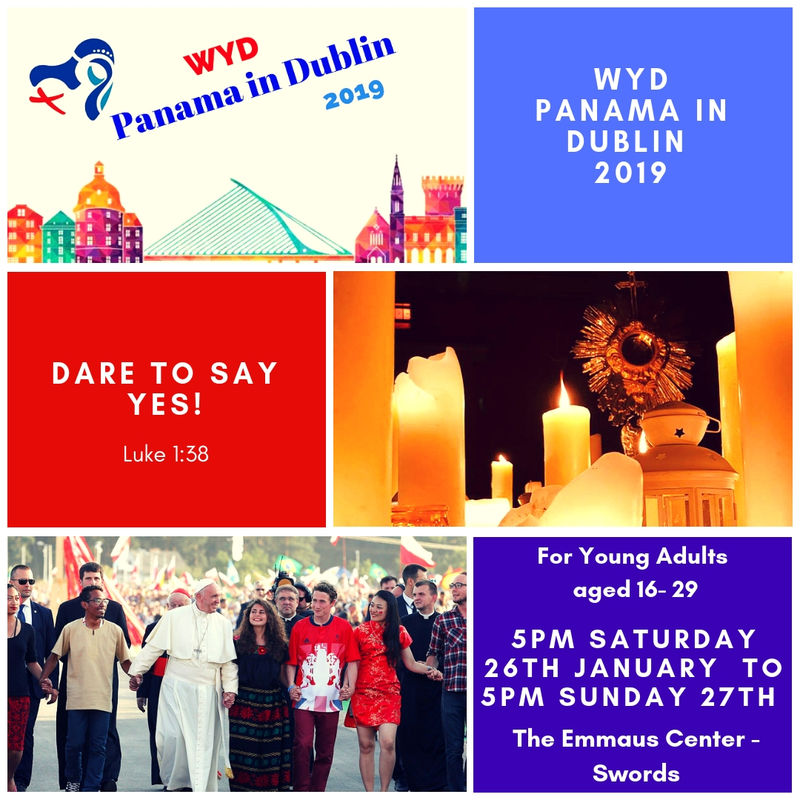 A mirror event, Panama in Dublin will take place in Emmaus Retreat Centre Swords on the 26th/27th January. We have arrived to Panama & the weather is ever so slightly hot! The journey was quite long but excitement & spirits were high. The method of transport is interesting and it’s a case of how many people can you fit on a bus or in a taxi is grand. We had the most amazing reception at our host parish which included food, music, dancing & fireworks - the Panamanians know how to host a party! We were paired off with our host families and got to put the head down. Today, 19th January, Kevin headed to the Care for Our Common Home Congress, while Natalie was looking busy collecting pilgrim packs. We had a walk of the city & dinner together in the parish before Mass & bed to be ready to go for tomorrow. 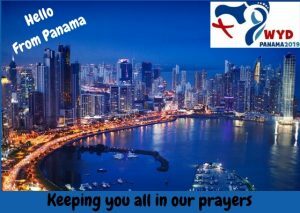 Our young people have arrived in Panama for WYD. 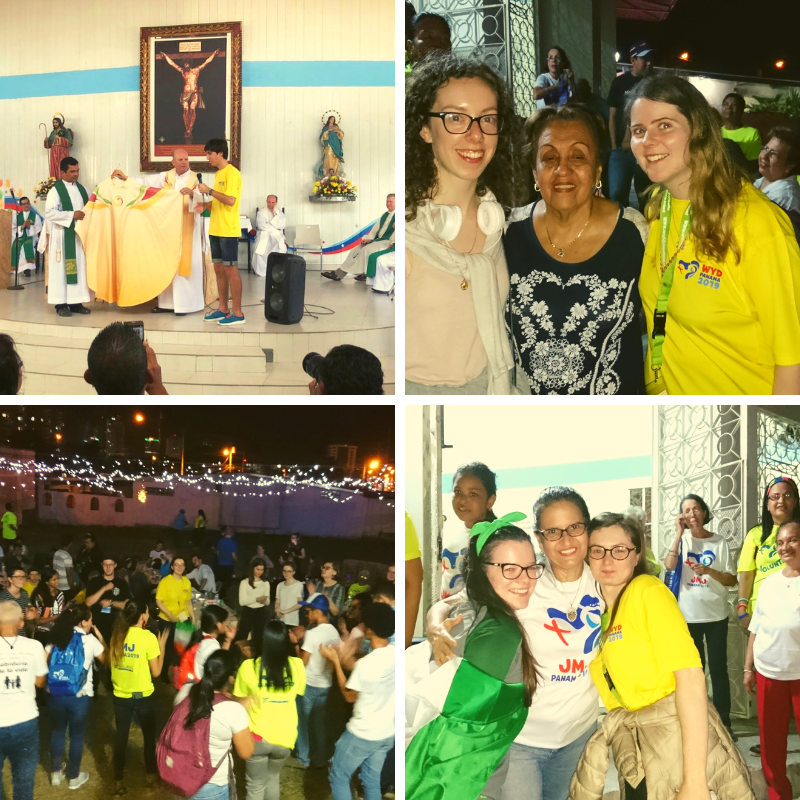 They have sent the last two days getting to know their host families, meeting other international pilgrims and celebrating mass with visiting pilgrims and local parishioners. We ask that you keep them in your prayers. Hi, my name is Ameera Ahmed and I am from Blanchardstown. I work in Intel and I participate in leadership programmes in St. Paul’s and in my parish. I am now attending my second World Youth Day. We arrived at Dublin airport in very cold temperatures in the rain…. Our group had a prayer before entering the terminal and we had some dancing and singing photographs and some selfies! 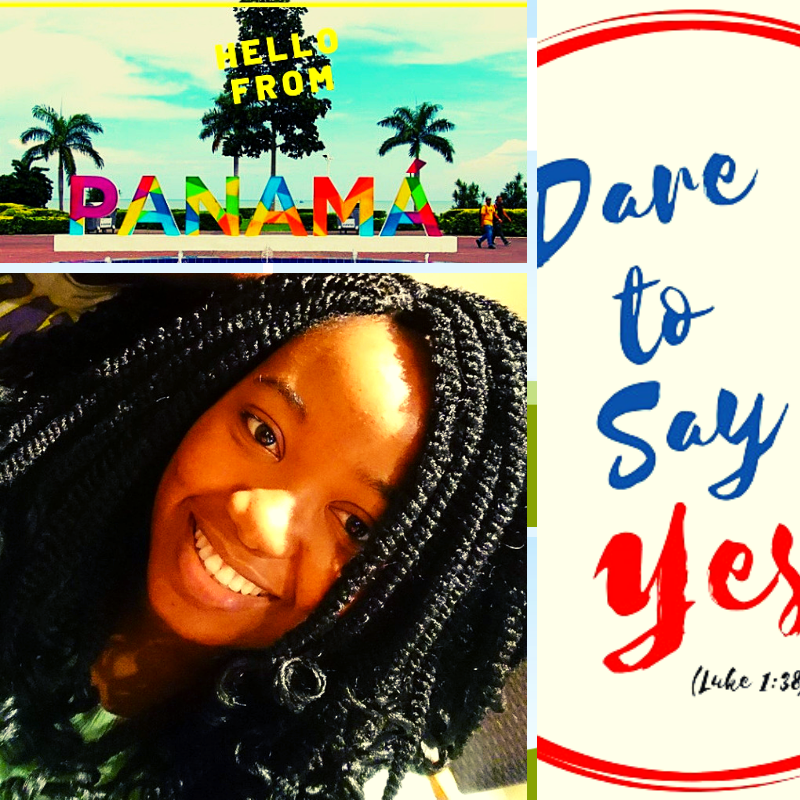 We were excited and nervous as we had a long trip ahead of to Panama – a country we are not familiar with but looking forward visiting. I also volunteer in Spirit Radio and I was asked to help create a positive experience of using social media and linking our pilgrims in faith to their friends at home. We have a mini media team and our task is to create picture memories and create blogs and vlogs based on the testimonies of our young pilgrims. After a long delay in Paris we did some interviews for pilgrims to see what they were looking forward to and what they will expect. For new pilgrims they were nervous. Former pilgrims were looking forward to a smaller and more intimate group. After all our preparation they were looking forward to staying in families. The heat. 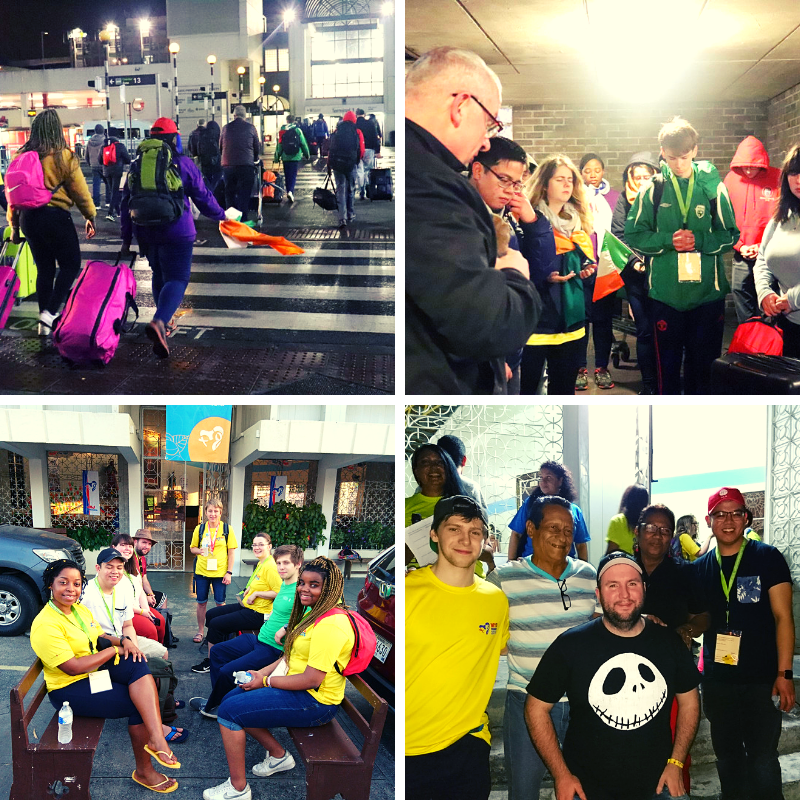 Once we arrived at the airport after a 13-hour flight and delays for bags and buses we arrived at the parish after 25 hours of continuous travel. We were met by the most amazing welcome, huge among the people, fireworks, music dancing and a fantastic welcome. 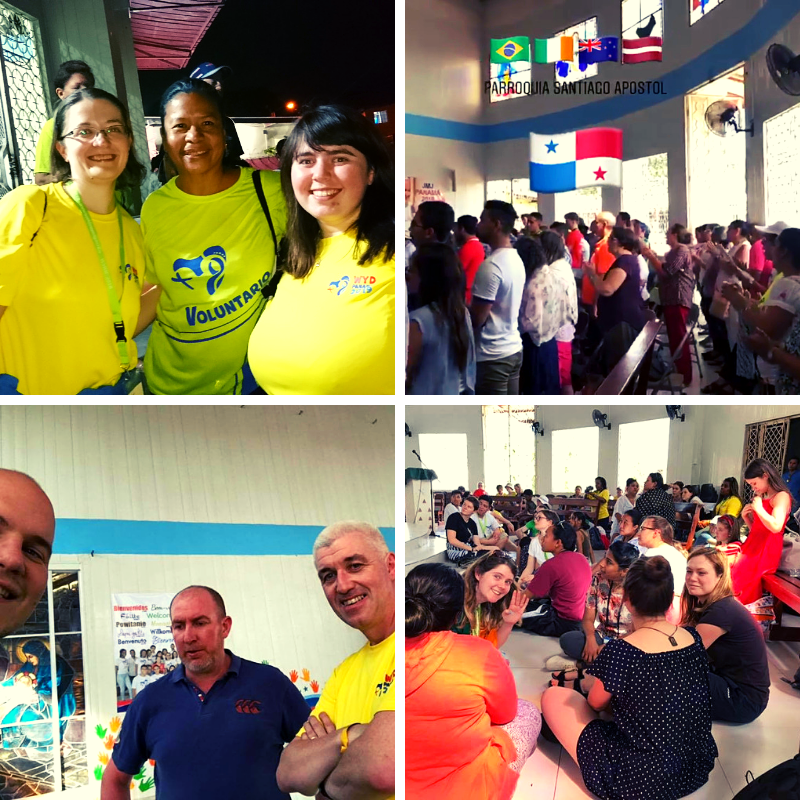 Apart from language, we all were able to relax with food and meet our new families. Our colleagues from Latvia and New Zealand had arrived just earlier… and helped to welcome us. On Saturday morning very early we brought a group of our young people to a conference on the Care for Common Home…We used the Metro in our parish which only opened today. Later in the morning we received our Media registration. On Sunday in our parish of Santiago Apostle we had a parish mass with an international flavour. The Irish, Polish, New Zealanders, Latvians and Brazilians all helped with different parts of mass. After communion we were treated to some dancing in a Panamanian way – it was really beautiful. After mass our pilgrims presented the parish a set of vestments from the World Meeting of Families. Other nationalities also presented gifts to the parish. On Monday we had our final Mercy day in collaboration with Aid to the Church in need. We broke into groups and some of visited families where there were sick members or housebound and we talked and sang with them. It was really special. Other pilgrims in our group played sport with local children and helped to teach them some English words. We also had a group who prepared food for the homeless and hungry in the parish. This was also given out in the streets nearby. Pilgrims also had the same food. Overall these days have been special and connecting with the local parish has been amazing.